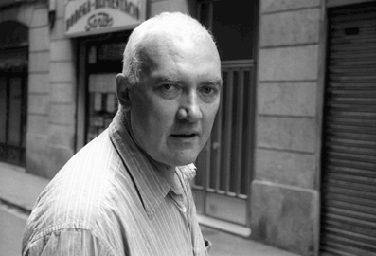 In 1997 Robert Gardner visited friend and well-known American painter Sean Scully in his Barcelona studio. He documented the making of two paintings, Testigos and Passenger , and the opening of “Sean Scully 1987-1997” at Salas del Palacio Episcopal in Malaga. This DVD, an important document of an influential modern artist, brings together the three short films made during that summer. Testigos is a small painting done when Gardner and Scully worked together in Barcelona. The title, which means ‘witnesses,’ is the name of a small island in the Caribbean. Testigos, and at least one other painting, was made on the days that the larger canvas Passenger was drying. In Passenger Gardner made what he calls “an observation in four movements.” The intent of the piece is to impart an experience of the engagement by Scully with the work in question, an engagement which is both physical and emotional. The only sounds are those made by the artist as he works and, occasionally, musical passages from tapes Scully listens to while he is painting. A short film acknowledging the efforts of those responsible for installing the exhibition “Sean Scully 1987-1997” in Malaga. Equally important, the film captures Scully’s parents dancing their beloved ‘paso doble’ in the midst of their son’s work.